The Best Ice Cream. Dairy-Free. Today I am sharing my recipe for the bowl that wins the "most likely to be devoured" award for all of spring and summertime months. At least that is the consensus in my house, that is. 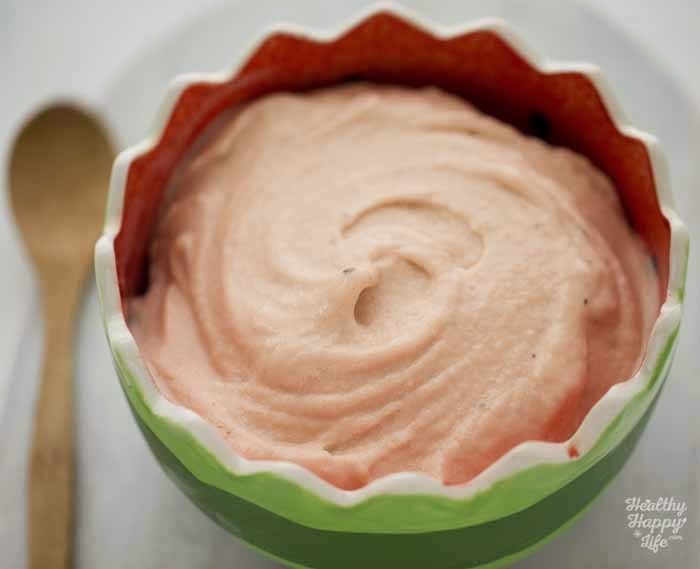 Just dip a big spoon into this big bowl of frosty pink deliciousness and I think you will agree. This is my favorite. 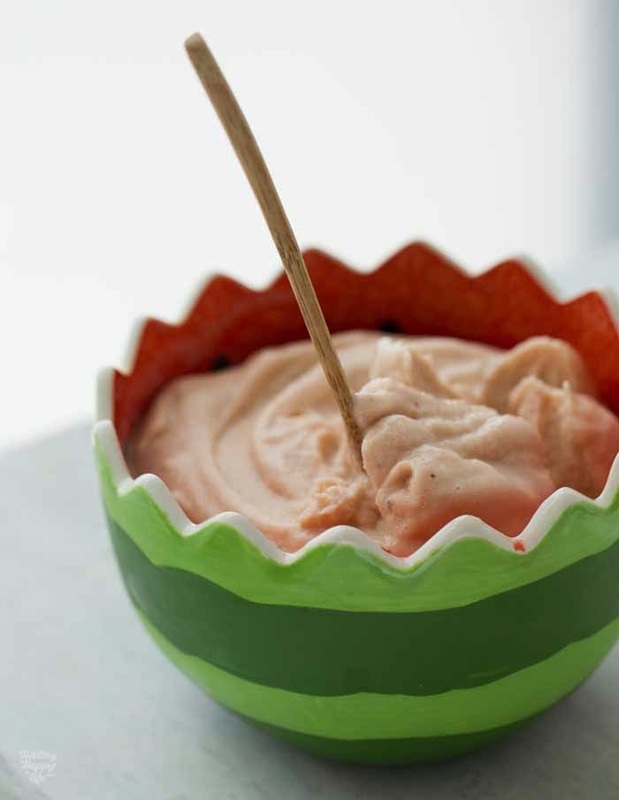 The best ice cream is.... Watermelon Blender Soft Serve! Get my recipe, a how-to video and a book launch update..
First off, T H A N K Y O U for you incredible support during my book launch week. I am SO excited for you all to finally have this book in your homes. So now lets get to this recipe! 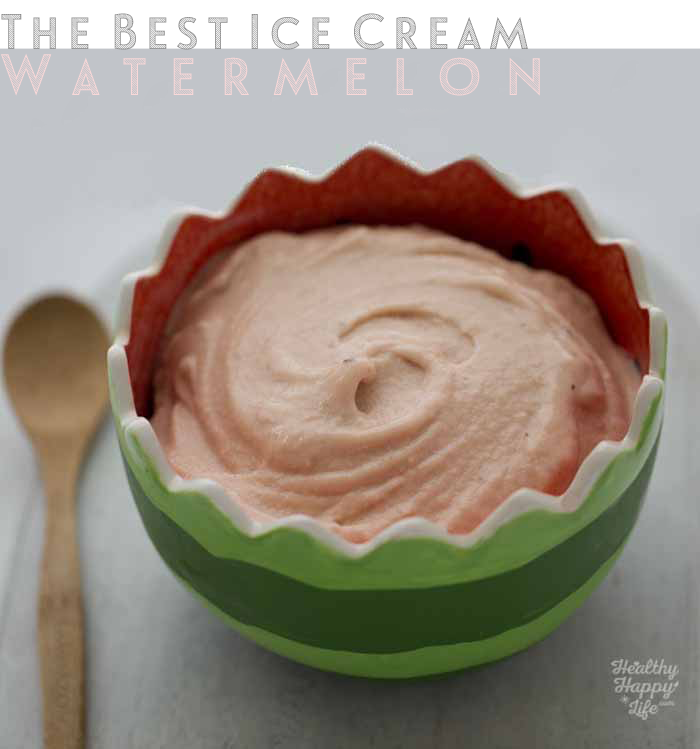 Watermelon Ice Cream. Rich in potassium, fiber, vitamin C and 100% free of high fat dairy -- or dairy of any kind, really. 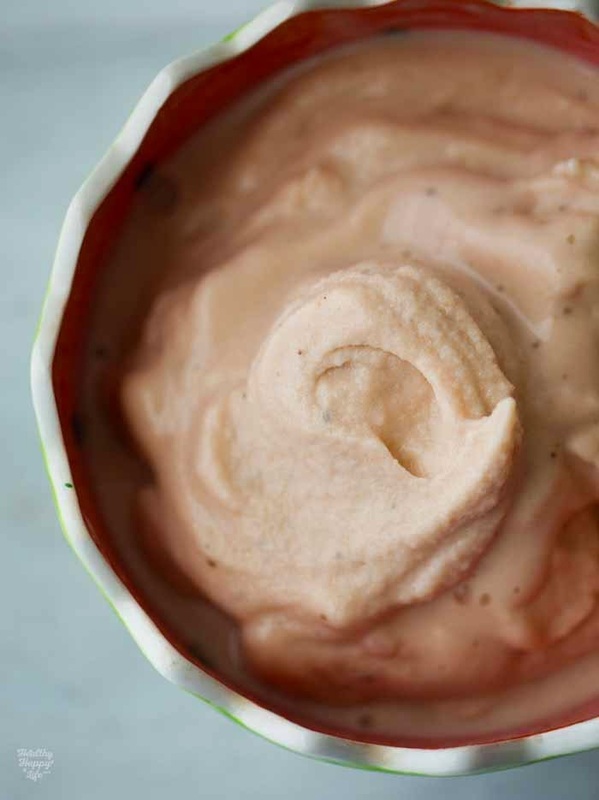 This creamy, frosty blender ice cream is so amazing. 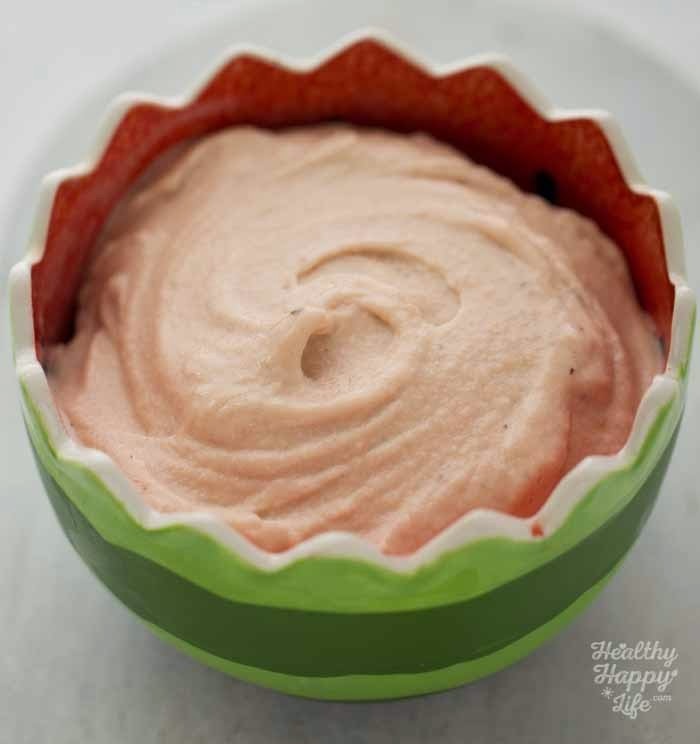 You might think that it is just like a thick smoothie, but it really has such a frosty ice cream texture and flavor because of my secret ingredient: frozen watermelon. 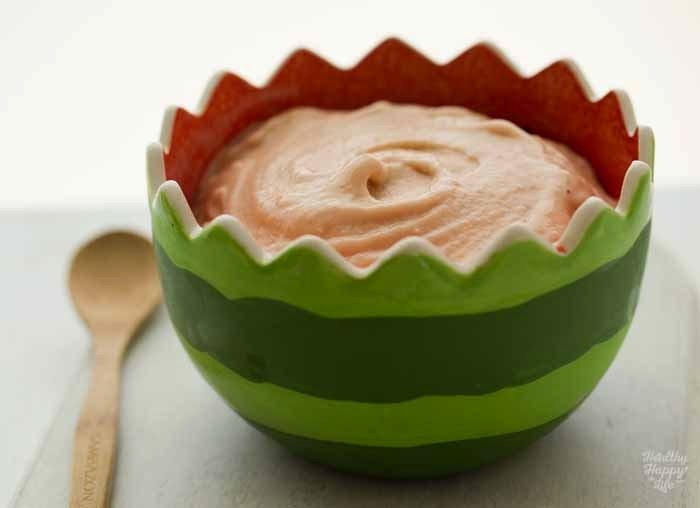 You long-time HHLers know I just love my frozen watermelon trick. I use my Vitamix to get these thick and frosty results. Get free shipping by using my link. Give it a twirl and have a happy, sunny, spring-soon-summer! 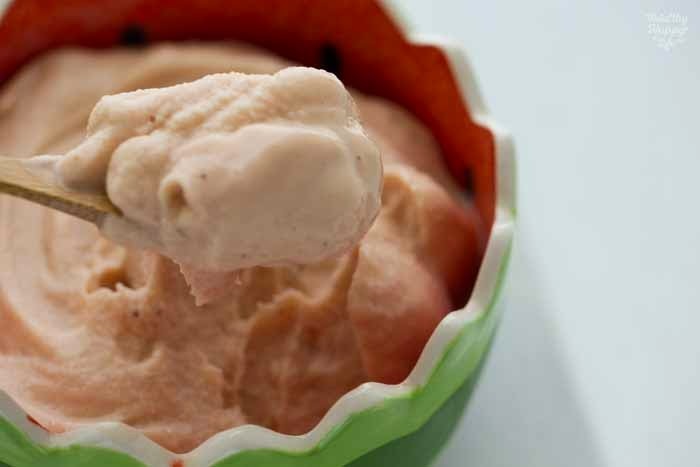 This super creamy and frosty ice cream can be made in your Vitamix blender in seconds! 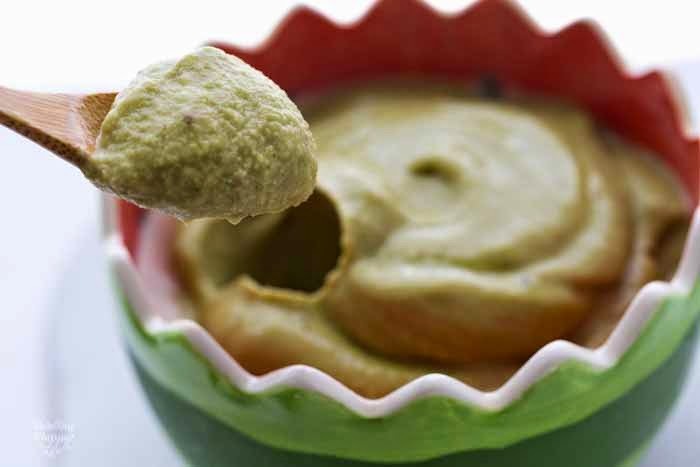 Super delicious, with only three healthy ingredients. Add all ingredients to a Vitamix and blend until frosty amazing. See the how-to video in this post for additional tips and a first hand viewing! *disclosure: contains a Vitamix affiliate link. Get free shipping by using my link.